Learn how to make crispy and savory Korean seafood pancakes from a professional chef! Great Tour! Was reluctant at first to book this due to the previous poor review, but in the end decided to go ahead and book it since it was being run by an established cooking school. Was so glad we booked it, as it was great! We arrived a little late, but was greeted by Halley, who showed us around Insadong area. We were taken through the markets and streets of Insadong, which gave us a glimpse into the character of the area. We tasted a great selection of Korean foods along the way, apparently hand picked by the founder of the cooking school who was a food lover so the places we sampled (both restaurants and street vendors) were all delicious! A good mix of food types ranging from the BBQ (highly recommended add-on) to the brown sugar pancakes, to the hand made ice cream that had the most fantastic unique flavours I've never seen before. The tour by Halley was wonderful, accommodating, patient and friendly. Highly recommended. Our group was a family of 6 (4 adults and 2 children) and was great for us all. Go in search of the best street food in Seoul with an experienced guide who will lead you to classic shops, street stalls and restaurants. 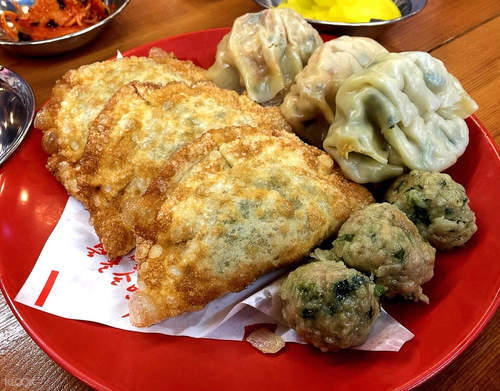 Listen to the history and food culture of Korea while savoring tasty street snacks including fried pork dumplings and Korean rice cakes. Feeling adventurous? We dare you to try the silkworm larva! 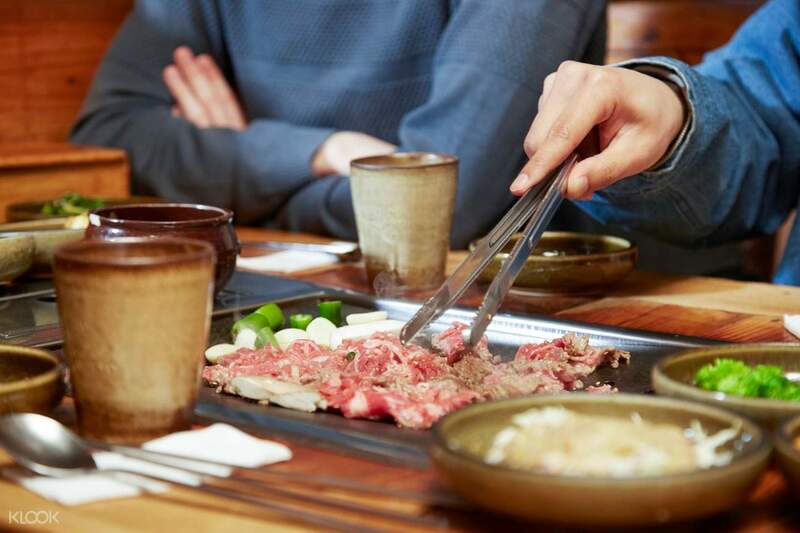 Once you've taken a bite of the best street snacks in Seoul, you can enjoy a full-course Korean BBQ lunch which is sure to leave you fully satisfied. 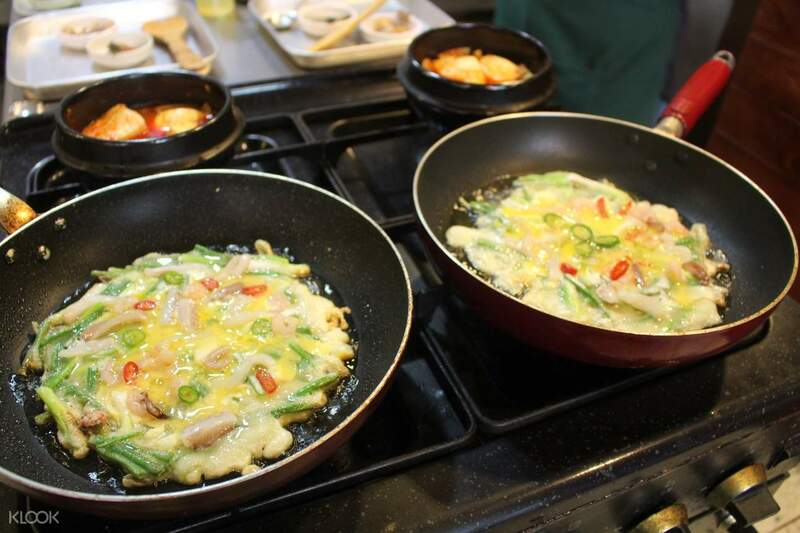 Learn from a professional Korean chef on how to cook your very own Korean seafood pancakes to perfection! Great Tour! Was reluctant at first to book this due to the previous poor review, but in the end decided to go ahead and book it since it was being run by an established cooking school. Was so glad we booked it, as it was great! We arrived a little late, but was greeted by Halley, who showed us around Insadong area. We were taken through the markets and streets of Insadong, which gave us a glimpse into the character of the area. 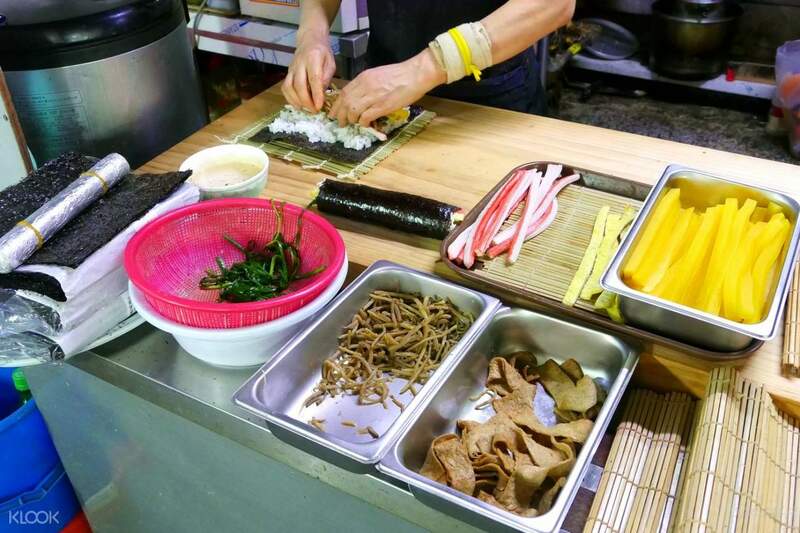 We tasted a great selection of Korean foods along the way, apparently hand picked by the founder of the cooking school who was a food lover so the places we sampled (both restaurants and street vendors) were all delicious! A good mix of food types ranging from the BBQ (highly recommended add-on) to the brown sugar pancakes, to the hand made ice cream that had the most fantastic unique flavours I've never seen before. The tour by Halley was wonderful, accommodating, patient and friendly. Highly recommended. Our group was a family of 6 (4 adults and 2 children) and was great for us all. Great Tour! Was reluctant at first to book this due to the previous poor review, but in the end decided to go ahead and book it since it was being run by an established cooking school. Was so glad we booked it, as it was great! We arrived a little late, but was greeted by Halley, who showed us around Insadong area. We were taken through the markets and streets of Insadong, which gave us a glimpse into the character of the area. 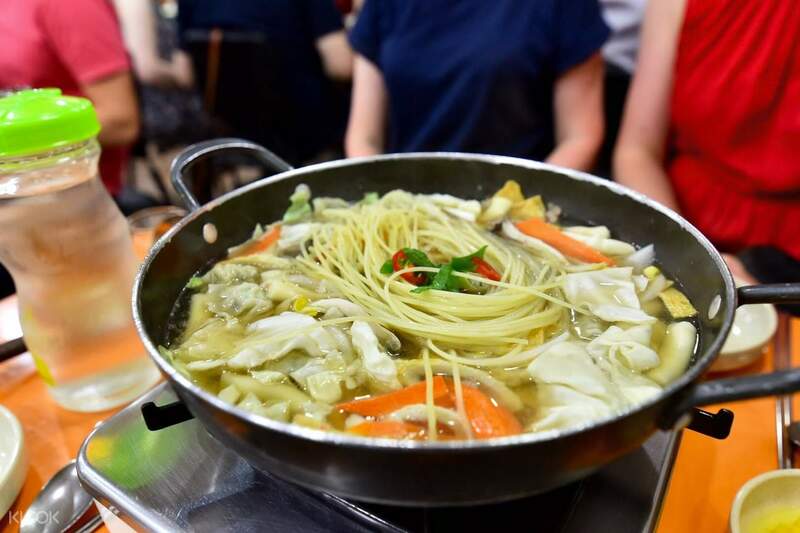 We tasted a great selection of Korean foods along the way, apparently hand picked by the founder of the cooking school who was a food lover so the places we sampled (both restaurants and street vendors) were all delicious! A good mix of food types ranging from the BBQ (highly recommended add-on) to the brown sugar pancakes, to the hand made ice cream that had the most fantastic unique flavours I've never seen before. The tour by Halley was wonderful, accommodating, patient and friendly. Highly recommended. Our group was a family of 6 (4 adults and 2 children) and was great for us all. The small group made for easy interaction between the guides and participants. Guides were keen in show-casing local food and gave the background information on the food and surroundings. The food tasting was also well-thought out. Definitely join on an empty stomach and your stomach will thank you for it at the end! The small group made for easy interaction between the guides and participants. Guides were keen in show-casing local food and gave the background information on the food and surroundings. The food tasting was also well-thought out. Definitely join on an empty stomach and your stomach will thank you for it at the end! The staff was amazing. It was only my friend and I so we got to eat a bit more. They had a trainee come along with us and she was so much fun. We ate, we learnt and we fangirled about kpop and kdrama. We also got to see a filming of a variety of some sort while on the tour. All in all, it was an amazing experience, highly recommend! The staff was amazing. It was only my friend and I so we got to eat a bit more. They had a trainee come along with us and she was so much fun. We ate, we learnt and we fangirled about kpop and kdrama. We also got to see a filming of a variety of some sort while on the tour. All in all, it was an amazing experience, highly recommend! The tour guide was very friendly. We ate a lot. I liked how she brought us to places on side streets that we would never have found in our own. The tour guide was very friendly. We ate a lot. I liked how she brought us to places on side streets that we would never have found in our own. Really enjoyed this, the guide was really nice and knowledgable about food in the area, we ate at some really great places and overall had an experience I would not have had had I just gone it alone. Really enjoyed this, the guide was really nice and knowledgable about food in the area, we ate at some really great places and overall had an experience I would not have had had I just gone it alone. We experienced plenty of traditional korean food and it was soooo good! Our guide Jay is so accommodating and fun to talk to. At the end of the tour we had an ice cream in a pretty cafe. And before we parted ways, Jay recommended good places and cafes and we are very grateful for that. We experienced plenty of traditional korean food and it was soooo good! Our guide Jay is so accommodating and fun to talk to. At the end of the tour we had an ice cream in a pretty cafe. And before we parted ways, Jay recommended good places and cafes and we are very grateful for that.